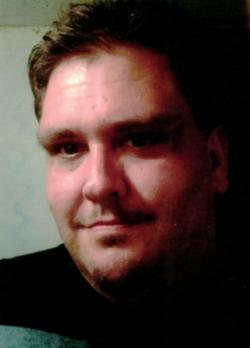 KENNETH “KENNY” GREEN age 37. Son of Raymond and Ann Pennington and the late Sandra Akres; Brother of Nancy (Angela) and Veronica (Ron); uncle of Mark, Nicole, Destiny, Anthony (Carrie), Raymond and Caitlin; great uncle of Jaidyn, Nathan, Chase and Will; nephew of many. Drum with the Angels lil brother. Funeral service 6PM THURSDAY AT BODNAR-MAHONEY FUNERAL HOME 3929 LORAIN AVE. CLEVELAND where the family will RECEIVE FRIENDS 4-6PM. My deepest sympathies, many prayers that you find peace. Ann raymond , we are soo sorry for your loss, kenny was a sweet person. Sympathies to my family. Knew him well when he lived in Tennessee. I am the daughter of Tim & Sandra Burns. Kenny always made me laugh! I am so sorry for your family’s tremendous loss. I pray God holds you in His loving hands and comforts you through your mourning. My heart is with all of you. May God comfort you. I pray the angels in heaven camp about you. With love and comfort. Little brother; I am going to miss you so much. I know we sometimes did not get along, but I know that we loved each other a lot. Love you always Veronica (Runt)! This is such a shock. I love you all and im so very sorry. May he rest in the arms of Jesus. I’m going to miss him terribly I loved him with all my heart. I remember when we first met he thought I had a boyfriend so he didn’t ask me for my number. His friend Kim and my mom got us together.